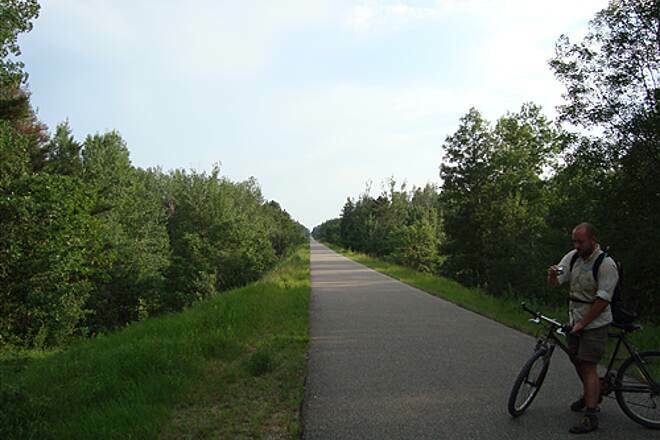 Paul Bunyan State Trail, stretching 119 miles from Bemidji to Brainerd, is one of the longest rail-trails in the country. 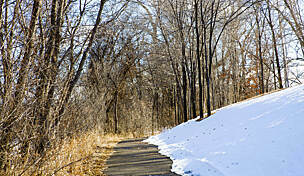 The multiuse, fully paved trail is mainly for nonmotorized use; however, snowmobiles are permitted during winter. The rail-trail follows an inactive railroad corridor built in 1893 and last owned by Burlington Northern. 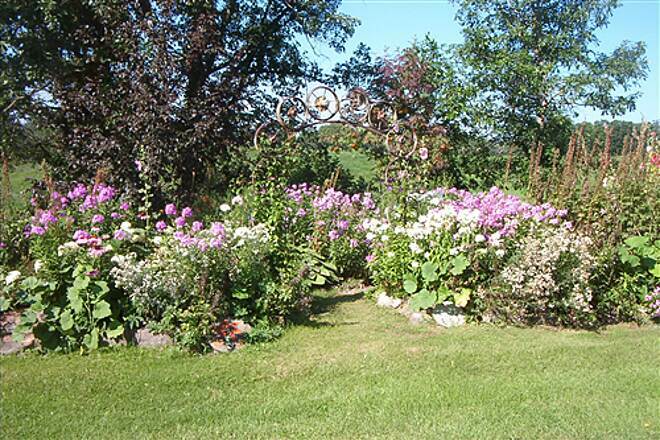 The corridor passes through boreal forests, along more than 20 lakes and 10 rivers/streams, and among meadows sporting colorful wildflowers in spring. You’ll also encounter wildlife along the way. 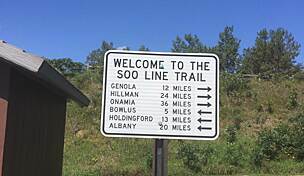 For those using the trail for the long haul, you’ll find towns situated every 8–10 miles. 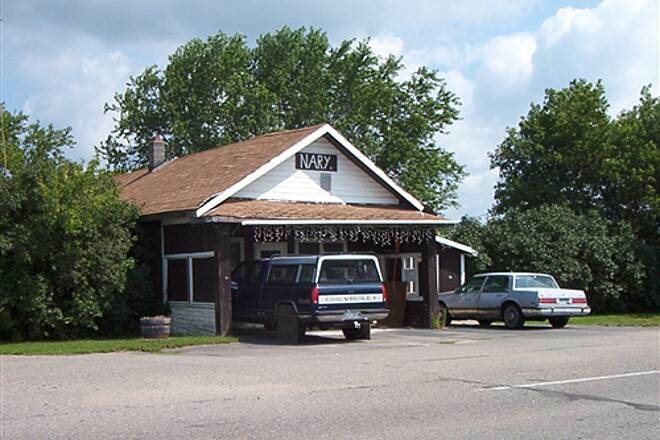 Many of the towns have a long history in the railroad and timber industries, and, before that, American Indians of the Ojibwe and Dakota nations lived in the region. 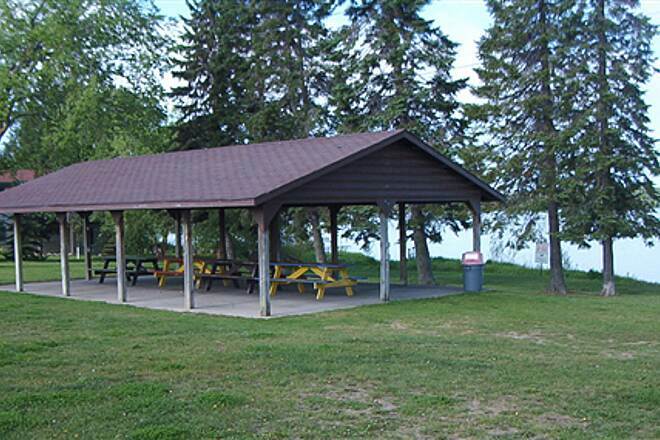 The trail's newest segment, completed in 2014, extended the route 9 miles south on MN 371 to Crow Wing State Park, so those wishing to camp during their trip can do so at Crow Wing State Park or at the north end of the trail in Lake Bemidji State Park. 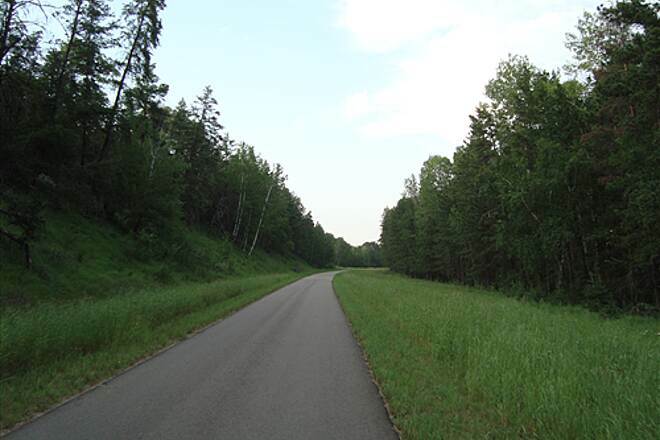 The Paul Bunyan State Trail intersects with the Heartland State Trail at MN 34 northeast of Akeley and north of Walker near MN 200 and MN 371. 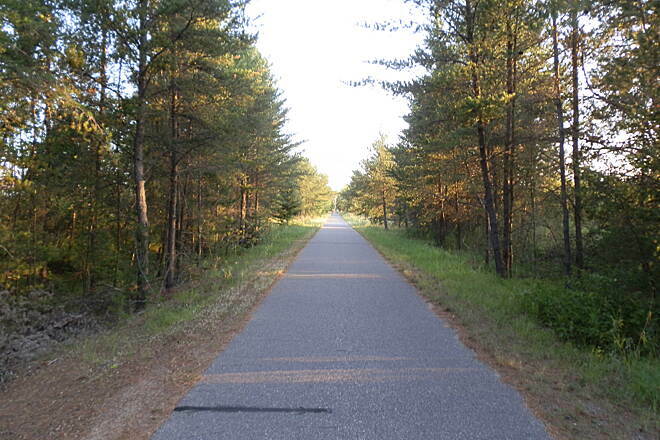 The Paul Bunyan State Trail also connects with the Blue Ox Trail at Paul Bunyan’s northern trailhead in Lake Bemidji State Park, although the actual northern end of the trail (with no parking or amenities) is just northeast of the park at CR 20. 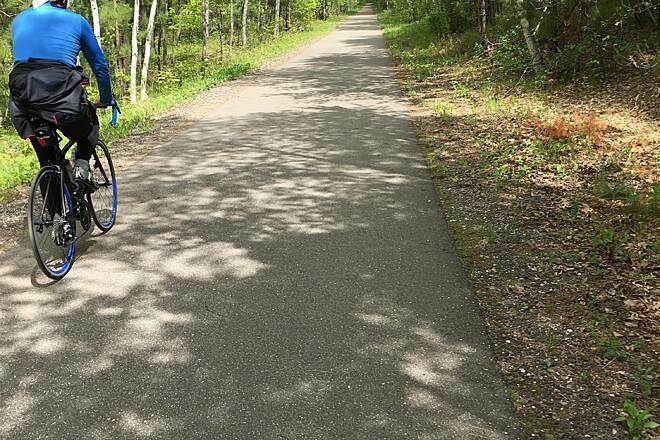 There are also five bicycle repair stations along the trail at the following locations: Northland Arboretum parking lot and trailhead in Brainerd; Lake Bemidji State Park visitor center; Crow Wing State Park, near the trail start; Nisswa; and Pine River. 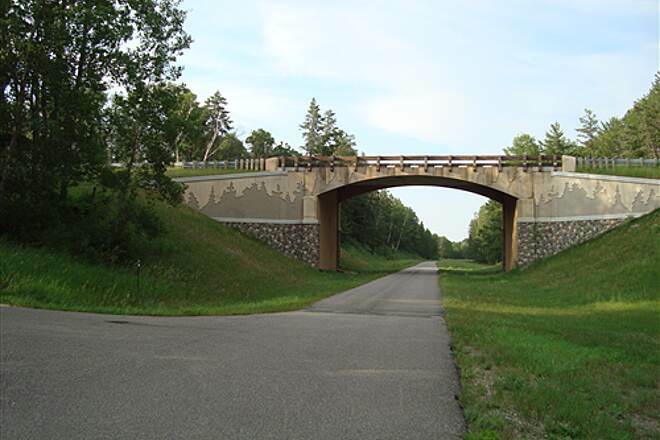 To reach the southern trailhead at Crow Wing State Park, from the intersection of MN 210 and MN 371 in Baxter, take MN 371 S. 7.5 miles to 60th Ave. S.W./N. Koering Road. 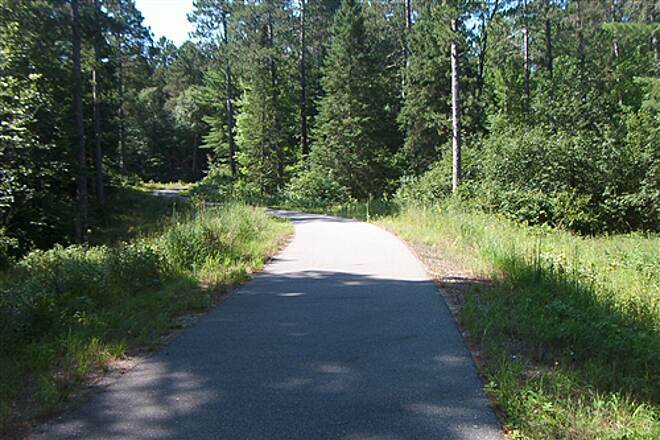 Follow it northwest 1.3 miles through Crow Wing State Park to the parking lot, which will be on your right. 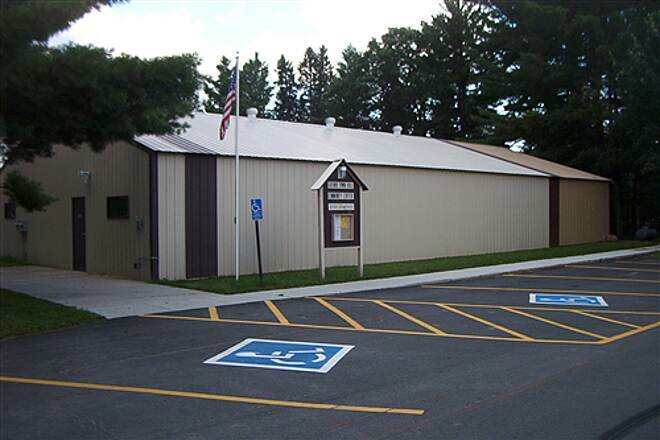 To reach the parking lot in Baxter, from the intersection of MN 210 and the MN 371 bypass in Baxter, go north one block on MN 371 to Excelsior Road. Turn right onto Excelsior and go 0.75 mile to Conservation Drive; the parking lot is on the left. 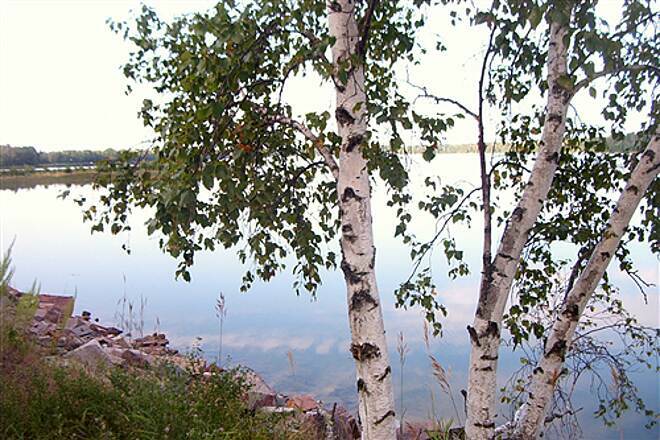 The northern trailhead is located in Lake Bemidji State Park. 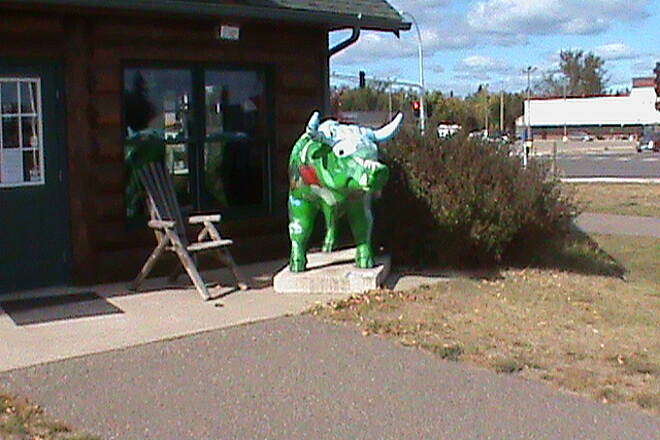 From the intersection of US 71 and US 2/MN 197/Paul Bunyan Drive in Bemidji, head east on Paul Bunyan Drive 1.6 miles. Turn left onto Bemidji Ave. N., and go 3.9 miles. Turn right onto Birchmont Beach Road/County Road 20 and go 1.5 miles to the park’s entrance. Follow State Park Road 1 mile to the trailhead. Road construction on trail between mile 8 and 9. 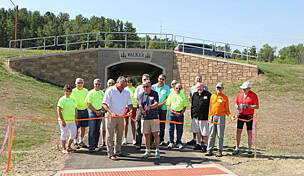 The milepost on the trail were recently revised to reflect the southern extension of the trail to Crow Wing State Park. Excelsior Road in Baxter is no longer mile zero. It is now mile 12.7. Nisswa is now mile 29 (was 16), Pequot Lakes is now mile 35 (was 22) etc. 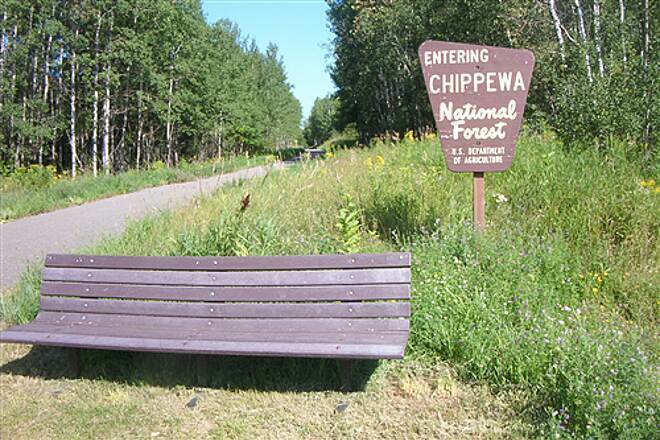 Last summer I rode this trail and was happy to find a "loop trail" between Walker & Hackensack without the intense hills and curves found going through the Chippewa forest (not that I minded them); not sure what it's called. 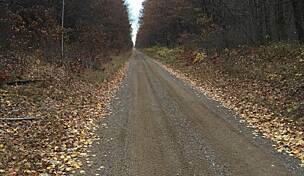 There are some hills but it runs along Hwys 371/200 north of Hackensack and puts you into Walker on the eastern edge where there are some city trails & low traffic roads. 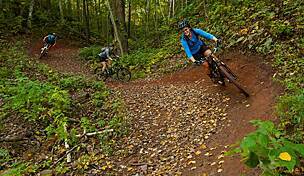 I'm looking forward to riding a new trail section from Crow Wing State Park north to Brainerd. 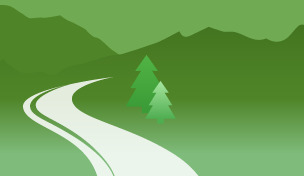 It sounds like you have to be paying attention in order to stay on the trail--maybe more signs are in order?? 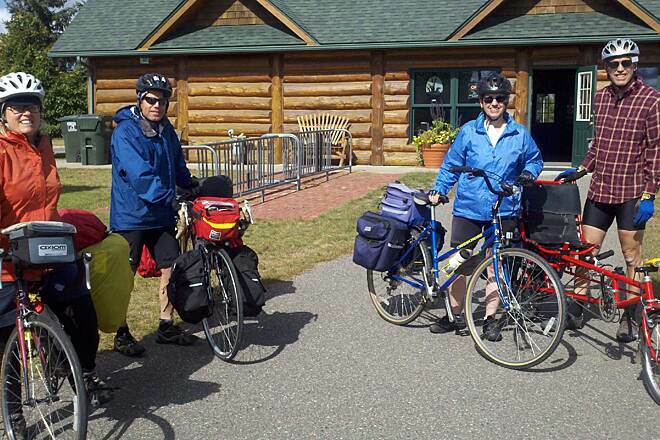 Tuesday September 2, 2014 we started in Crow Wing State Park hoping to get beyond Brainerd. The new state park segment opened end of July and is just gorgeous - slightly rolling and high above the Mississippi, swaddles you in soothing green. 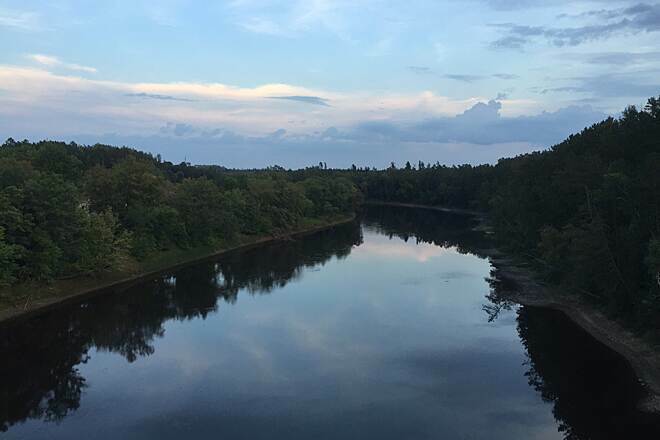 Once you cross the river on the very nice MN 371 bridge, you need to be heads up as some of the signage is confusing/absent/outdated/vague going into and through Brainerd. At the end of the bridge (northbound), there seems to be no sign but if you turn right and look back, there is an old sign which indicates the trail would be left but you just get to a fenced off old road - needs to be updated. Instead, turn right to go under the bridge and follow the trail into Baxter - it seems to backtrack a bit but you're OK. The trail parallels Jasperwood Drive and then comes to a T and a trail sign indicating a right turn across the road. (Note that on the return, there is no trail sign at this point so you need to remember where to turn left at Jasperwood Drive). Continue into Baxter and after the trail crosses a street in a business zone, you come to a "Y" - the only indication for the trail is a small yellow arrow to the right. 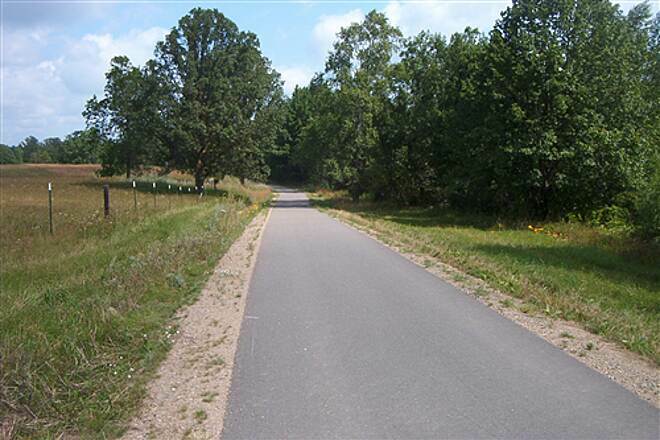 You then come to Brainerd near a shopping mall and there is a trail sign indicating the trail to the right along College Avenue - the trail is then basically a wide tar sidewalk which you follow to MN 48/Highland Scenic Road and there is a sign for the trail to the left. Follow the trail to NW/SW 4th Street and turn left - there is no trail sign at this point (needs one!) but you can tell because the tar path turns while straight ahead is concrete sidewalk. I can't tell you what happens then because we missed that turn and wound up poking around town on some other streets marked as bike routes and then turning around. If you find yourself crossing the river, you've gone too far; if you reach a fire station you're further off; if you reach the county office complex; you're way off. However, on the return there was a trail sign at the appropriate point but we now didn't have time to check it out. 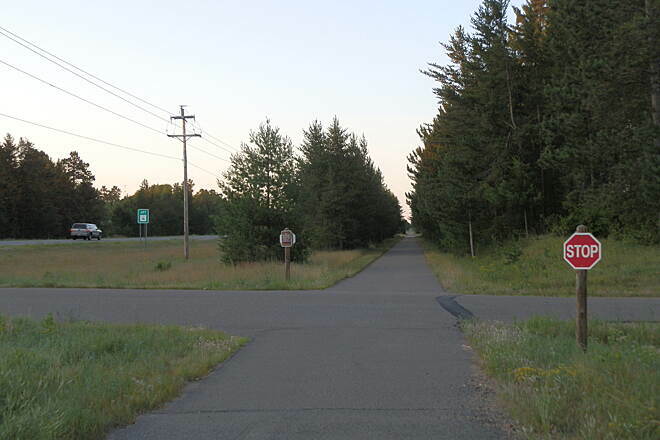 The segment through Brainerd is basically a "safe" route through town until you really pick up the trail again. After reversing all of the above, we soothed our frustrated selves returning through the beautiful Crow Wing State Park. 30 miles round trip for our efforts. 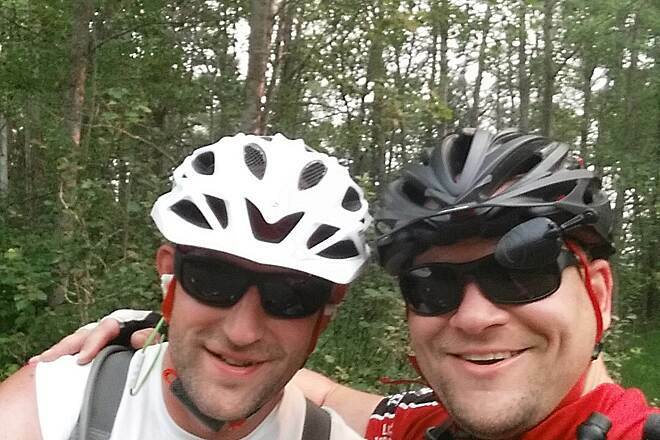 On Saturday, the 6th of September, a buddy of mine and I began our ride in Lake Bemidji State Park and finished in Crow Wing State Park about 11 hours later. The actual trip probably took 9 1/2 hours, but we had to stop at a bike shop in Walker for some mechanical repairs (Paul Nye the Bike guy--highly recommended), and ran into a number (25?) 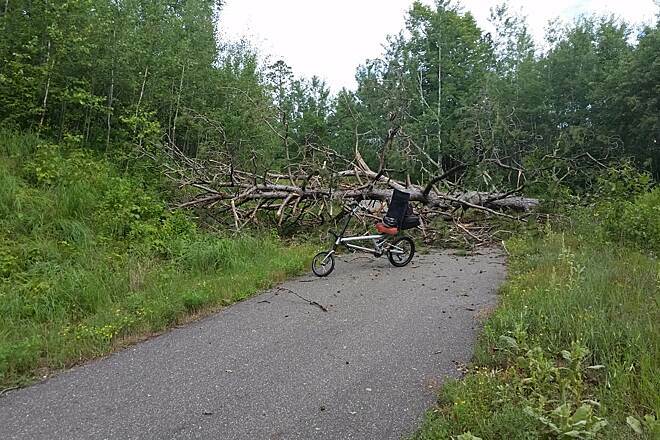 of deadfall trees during the last 4 miles to Crow Wing state park from the big storm on the previous Thursday (the 4th). The section from the Bemidji Park to Walker was amazing--beautiful scenery, very nice trail with few defects. 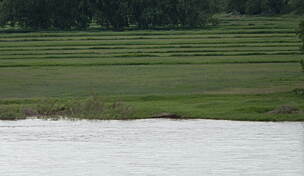 Lots of native plants and wildlife and scenic water views. Signage a bit confusing near the industrial area of Bemidji; one spot where the signs seem to point both right and straight. Trust me here and go straight. After Walker you run into some very challenging hills for a bit. The Trail gets pretty rough with cracks and holes once you get past Hackensack and all the way to Pine River, but overall a wonderful experience and felt so good the next day that I wanted to do it again. A little bruising between Hackansack and Pine River, but otherwise smooth and scenic. Drove from Brainerd (locked bike at Brainerd Public Library just across the street from Mickies Pizza and Subs---drop off for bus) and drove to Bemidji. Left car at BSU and took a Jefferson Bus back to Brainerd. 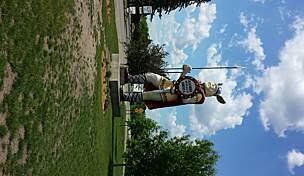 Rode to Pine River and stayed at Rodeway Inn. Rode 70+ miles from Pine River to Bemidjii. Rained and drizzled both days. Directional signs are good for most part but there should be a sign behind the Lucky Moose in Walker directing a rider as to how to meet up with trail from residental streets. I had to ride around a while to find the trail again. There is some significant elevation issues (8%)south of Walker that are testers. At Bemidji if there was a sign as to where to turn to get to downtown Bemidji, I missed it and ended up coming to a primative trail (horse, ATV/snowmobile and hiking not for a bike. Not even a Mnt bike especially with a rain soaked trail and headwind. I did about two miles and finally realized this can not be the Paul Bunyen Trail. A sign as to the name of the primative trail's name and a sign indicating where to find the Paul Bunyen Trail would help old tired folks like me to find their way to downtown Bemidji and BSU. I imagine this is a great fall foliage trail but with the rain, wind and overcast skies, this was not a pretty as the Wm Munger Trail. Watch for wildlife along the trail! 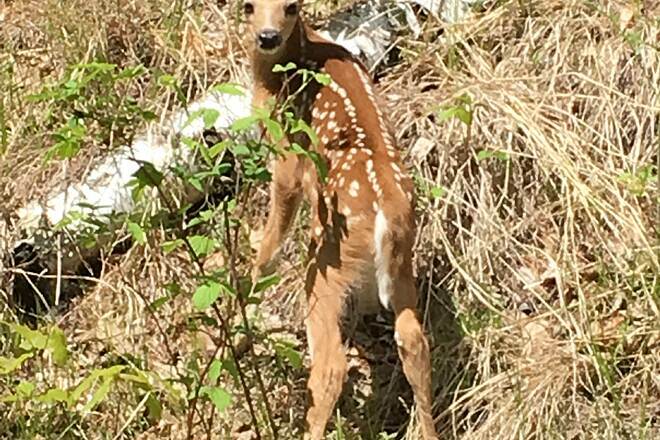 The trail between Pine River and Walker, and really the whole trail, offers great opportunities to view native Minnesota wildlife! 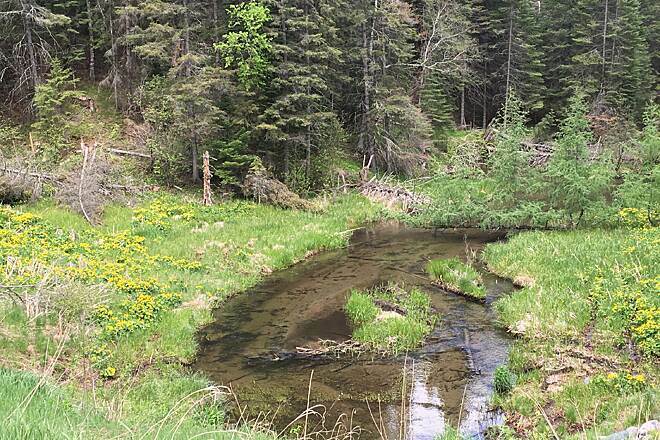 Trail riders report seeing white tail deer, beaver, eagles, ospreys, fox, ruff grouse and even an occasional black bear and perhaps even an elusive timber wolf! But, don't worry, the critters are more afraid of you than you are of them and consider yourself fortunate to be able to see them in their natural element. Early mornings and early evenings are best for wildlife sightings. 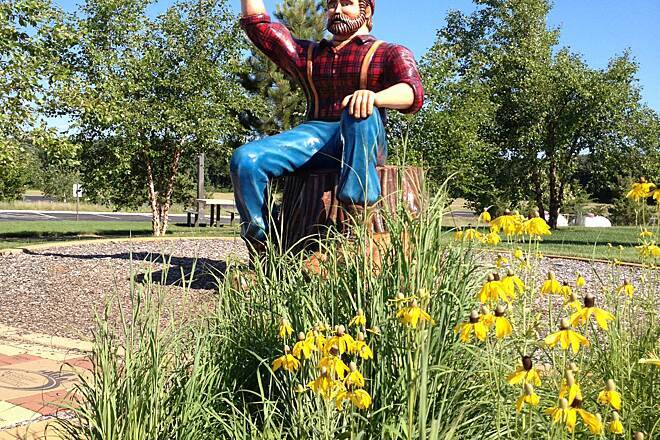 There is signage now as the Paul Bunyan Trail enters a residential area in Bemidji. 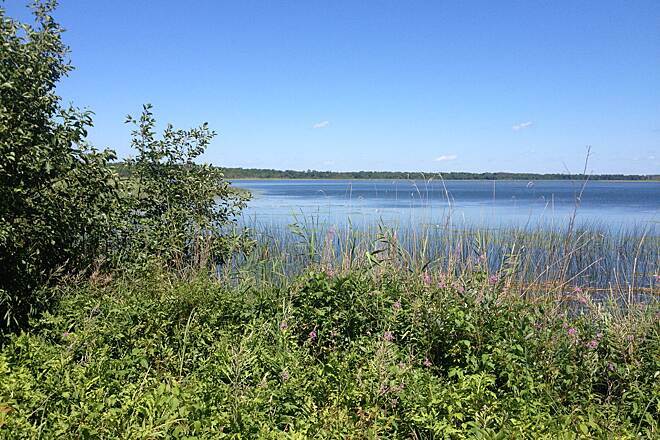 The route to connect back up with the rail trail portion is a few blocks, where it then skirts the shores of beautiful Lake Bemidji and crosses the Mississippi River. Truly, one of the most scenic portions of the trail. 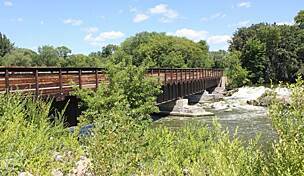 Trail improvements are still in play to get a bridge crossing Paul Bunyan and connect up to the lakeside trail sooner. 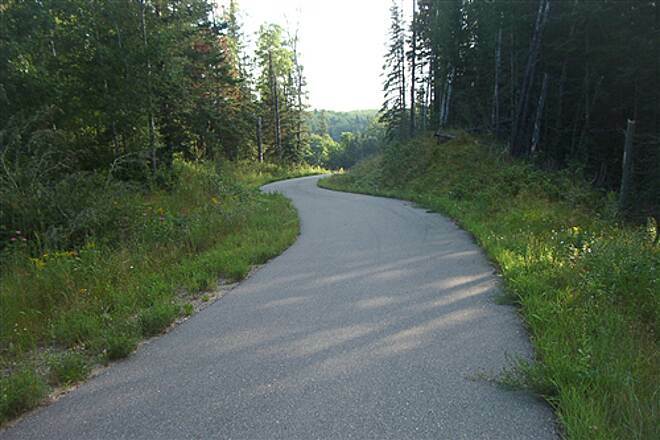 Bemidji is actively pursuing bike friendly wayfinding, trails and routes, so be patient as the City, State and local organizations work out the details to ensure safe, well marked experience for all. Come often to see our progress. What a fantastic trail, especially now that it's completed to Bemidji. I've ridden all of it at one time or another. 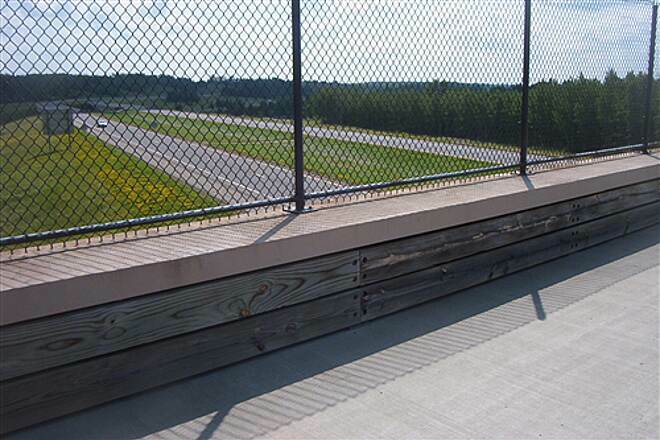 Recently, I rode the new section from Walker to Bemidji--very smooth, wide pavement--with hardly any users (on weekdays). At the Bemidji end there is no trail head or any signs or maps to the remaining route to Bemidji State Park so I skipped that part. Guthrie is the best stopping point on this stretch with benches, shade trees, porta potty and a large parking lot at the township hall. I couldn't get the water pump to work, however. I've often found that the largest MN towns (Fergus Falls, Willmar, Brainerd) have non-existent or poor trailheads, while some of the smallest towns really go out of their way to accommodate users. A case in point is the small berg of Hackensack which has bathrooms (not a porta potty), shelter, benches, water, beautiful lake with fishing pier, restaurants, stores with snacks, etc. AND very friendly people. 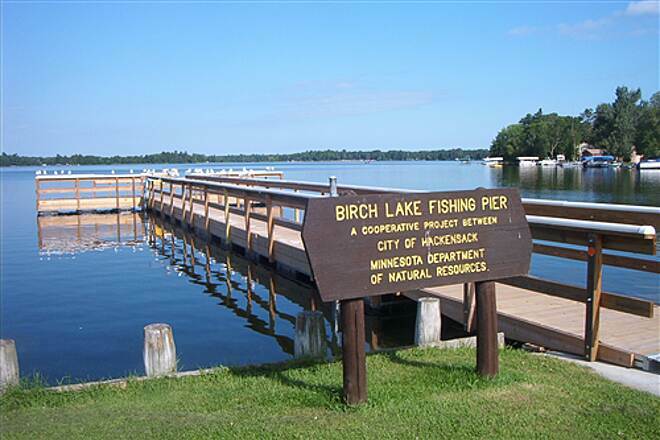 Schedule a stop here and Pine River which has similar amenities. 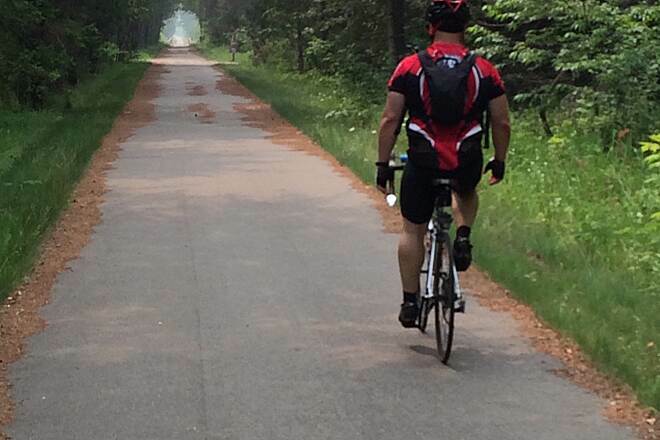 The trail is now paved all the way from Bemidji to Brainerd for a distance of 100+ miles. 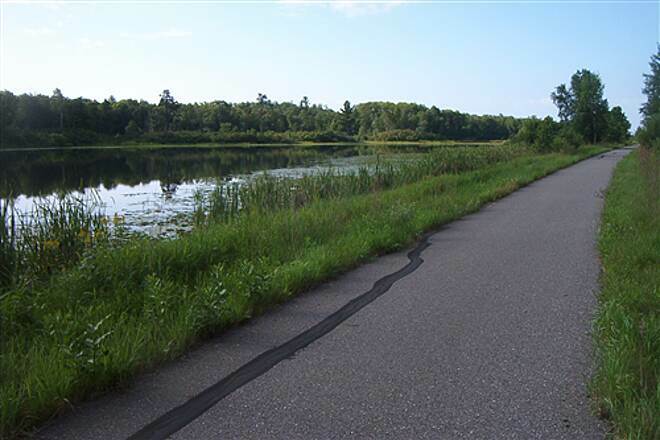 There is a 2 mile gap in the trail remaining at the south shore of Lake Bemidji in Bemidji that can biked using surface streets. "My wife and I just completed a great trip. Rode from Baxter to Pine River, Walker, then Park Rapids on the Heartland Trail. We then reversed our direstion and returned to Baxter where the car was parked at the motel. The trails are great and if you don't camp there are places to stay in small cities along the way. 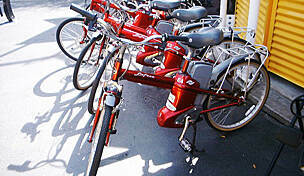 The people were very helpful and every motel had a place to store the bikes. We plan on going back it was so much fun. Ron Gile"
"Don't expect to camp on this trail, you may not find it. 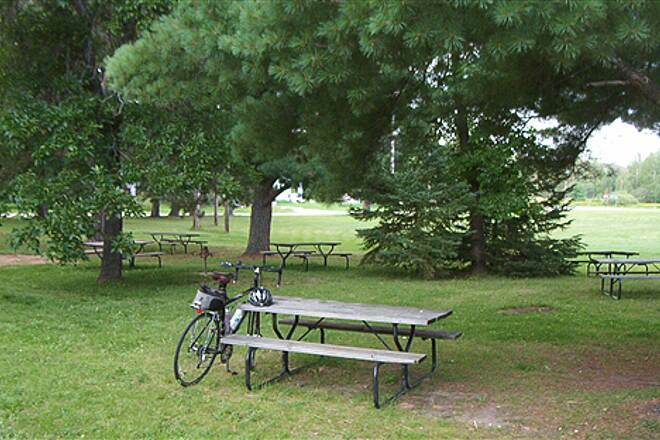 State maintained rest stops have had all the trash cans and picnic tables removed. Very poor services. I was very disappointed." 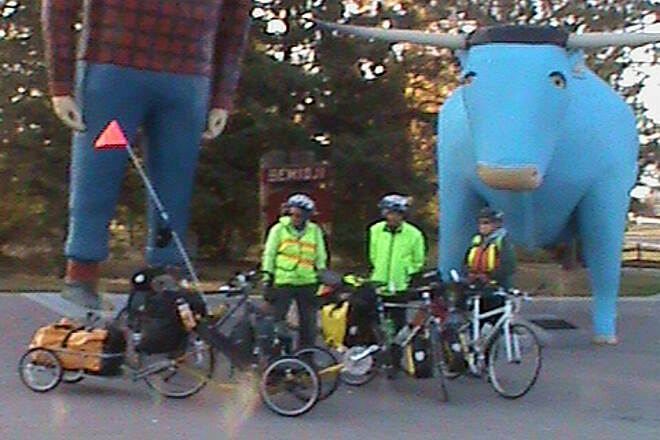 "My wife and I rode the Paul Bunyan trail from Nosswa to Brainerd and back last Summer (2006). This year, in September, we are returning with 20 or so folks, mostly from Colorado, to bike the whole trail as well as much of the Heartland Trail. The PB Trail is beautiful!" The paved portion of the trail has been extended from Hackensack to Highway 34 and connects with the Heartland Trail. I rode from Hackensack north about eight miles. You are in the northwoods without hugging a highway. It is very beautiful and peaceful. I highly recommend the trail. 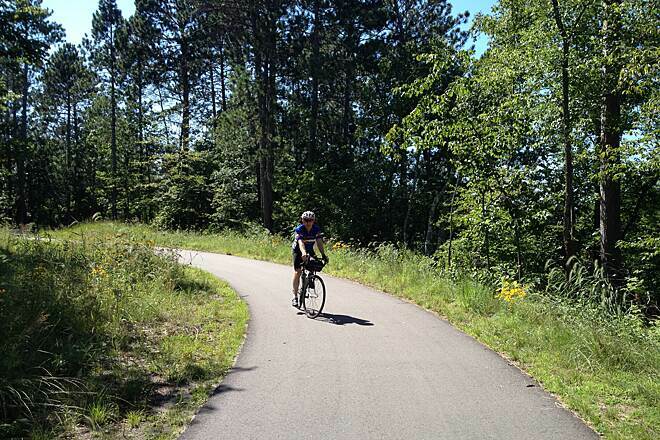 My 12-year-old daughter and I rode the trail from Baxter to Pequot Lakes. 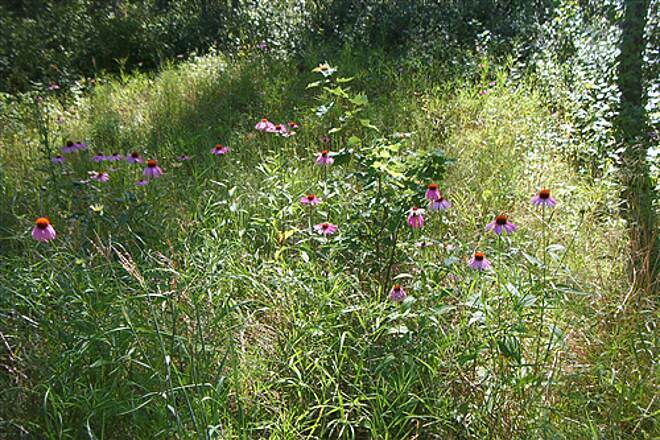 We enjoyed the wild flowers and pine forests. The trail winds around dozens of lakes and if the sun is out you will see why the Indians called this the land of sky blue waters. There were plenty of gift and specialty shops to browse in Nisswa and Pequot Lakes. 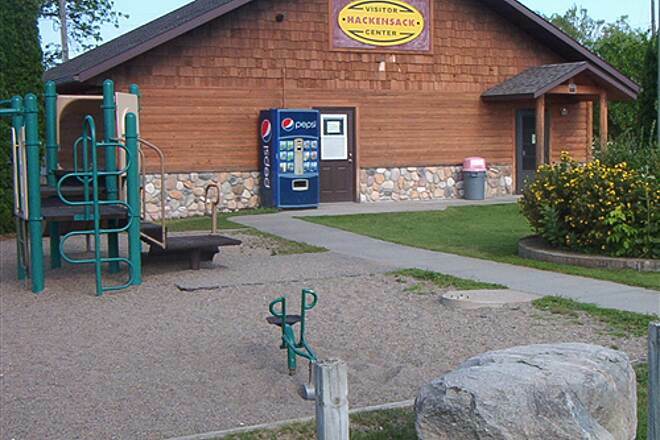 We found a great resort called Breezy Point just six miles east of Pequot Lakes on Highway 11. 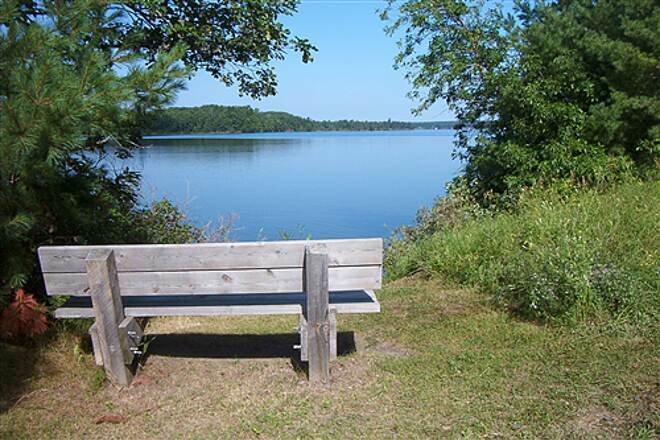 The resort is on Pelican Lake and has a public beach. 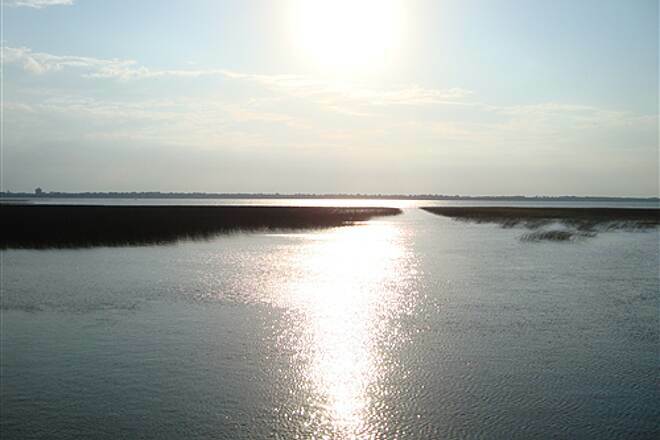 The lake is great for swimming with clear shallow water and a naturally sandy bottom. 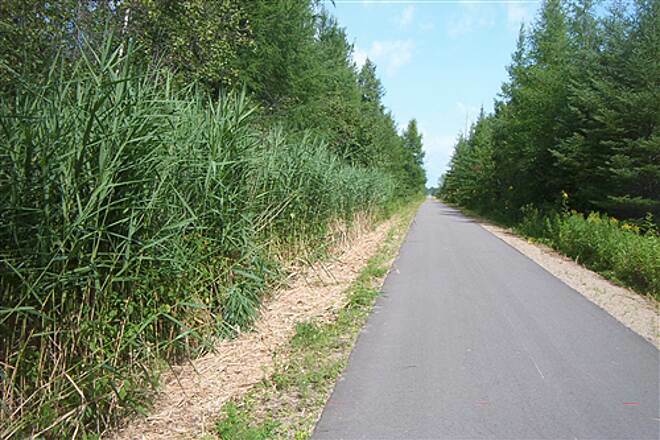 We will be back to explore more of the Paul Bunyan State Trail. 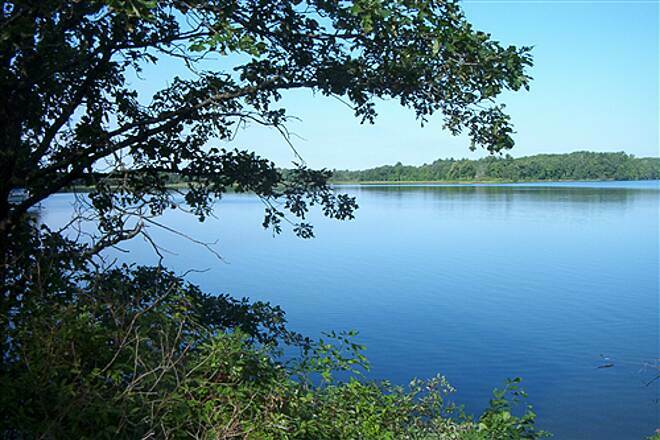 "This is a well-constructed trail whose first link (Brainerd to Nisswau) is downright spectacular as it curves around lakes, passes through shady forests and beside heavy marshes. Beyond Nisswau, the trail becomes straighter and is often too close to the highway to provide the quiet woodsy atmosphere of the first link. We went on a quiet day, though, and got in some very high-speed riding beyond Nisswau--the long straightaways are very inviting to speedsters."